Your email signature is a key aspect of your digital identity, so it’s surprising that around 48% of professionals have no signature at all - and many more make do with poorly thought-out or designed sign-offs. 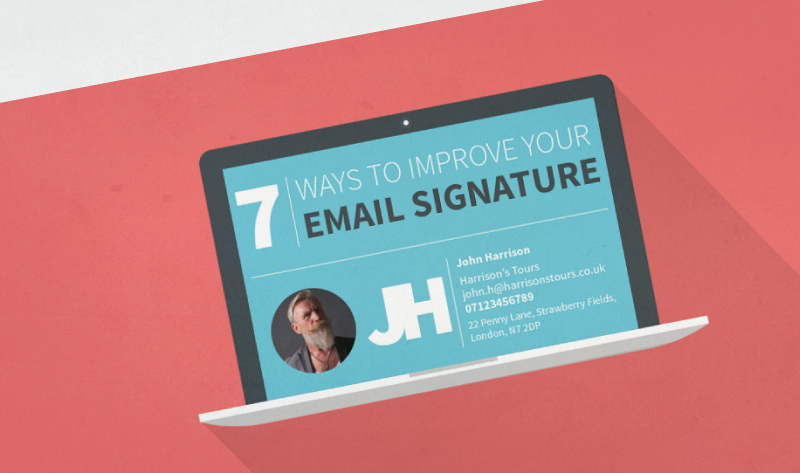 In fact, an effective signature can be one of the simplest ways to give your email more impact and encourage a response from your clients, customers, or colleagues. You can consider it a business card with serious frills: it puts your contacts just a click away from responding through the channel that works best for them. Keeping it clear is of utmost importance. Your contacts probably sift through a ton of emails every day – which makes white space an appealing prospect for the eye! Keep it to one email address, one phone number, and only the relevant social networking links. Space them out with pipes (|) and line dividers so your eagle-eyed recipient can zoom straight into the information they need to connect with you. Keep it on-brand, too. Aligning the font, colour and tone with your organisation’s image will look professional and strengthen your company identity. You can add a headshot if you’d like to make it more personal – but again, make sure its appropriate to your brand. Another great idea to keep your signature up-to-the-minute is to add a line of text that communicates your current project or goal – be it a special offer, a seminar you plan to attend, or a new product. In the end, the way you choose to identify yourself through your email signature depends on the nature of your correspondence. Big business will have different needs to a family newsletter. Thankfully, we have this great cheat sheet infographic by Cloud Solutions that spells out in quick steps how best to tailor your signature to your needs – and to be taken seriously by your recipients.